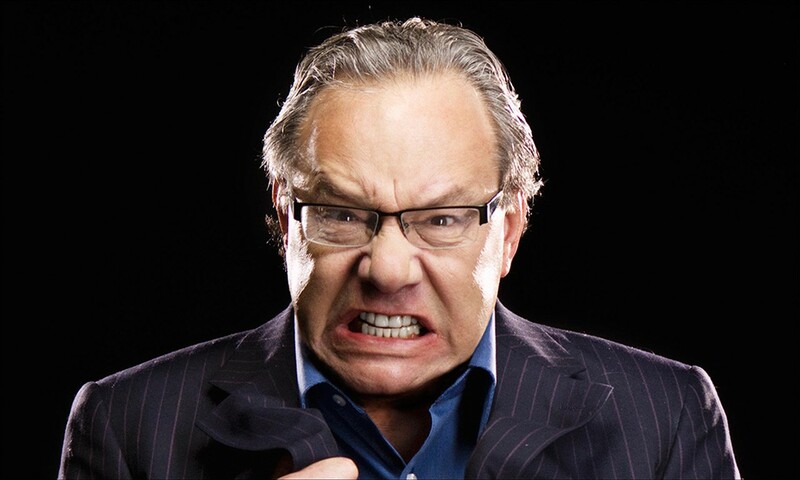 Many are advised to attend anger management courses to curb a volatile temper or display of rage, yet this very trait has shot Lewis Black into stardom. The King of the Rant as he is popularly known has made a really good living being an angry man. He won the hearts of many comedy lovers in the 1990s with his dark, angry style of comedy in a mock news show The Daily Show. He has also been involved in many comedy specials like Black on Broadway and Red, white and screwed. The King of Rant has equally won various awards including A Grammy for Best Comedy Album in The Carnegie Hall Performance. Find out more about his interesting life below. Lewis Black was born in Washington DC on the 30th of August 1948 to Sam Black (father, a mechanical engineer, and artist) and Jeanette Black (mother, a teacher). He grew up in Silver Spring Maryland and attended Springbok High School from where he graduated in 1966. Black was a grade A student who did exceptionally well in Math. Young Lewis Black became enamored with the theatre at the age of 12 after seeing his very first theatre performance. From that time, the youngster began nursing the ambition of having a career on stage. He began his tertiary education at the University of Maryland before he transferred to the University of North Carolina, Chapel Hill, where he earned his first degree in Playwriting. Black later earned a Master’s degree in Yale School of Drama in 1977. Lewis Black moved to New York where he began to work as a playwright-in-residence at the West Bank Café which belonged to Steve Olsen. He was involved in creating and developing several plays which include West Wing and American Beauty which were the original works of Aaron Sorkin and Alan Ball respectively. He wrote the musical drama The Czar of Rock and Roll and performed brief stand-up comedy before the beginning of each drama performance. In the early 80s, he finally quit West Bank Café and pursued a full-time stand-up comedy career. As a pro, Black had a unique brand of comedy which depicts a man dealing with absurd issues of life and the various hypocrisies of the society bothering mostly on politics. Sarcasm, shouting, tantrums and angry outbursts were the trademarks of Lewis Black’s flavor of comedy. Lewis Black landed movie roles in films like Hannah and Her Sisters in 1986 and Jacobs Ladder in 1991. The King of Rant then exploded when he appeared as a guest commentator on a funny mock news program The Daily Show. His dark, angry humor animated lambasting on the societal issue and world leaders swept audiences around of their feet. Following his success in The Daily Show, he featured in numerous stand-up comedy specials including Black on Broadway in 2004 and Red, White and Screwed in 2006. Black recorded his first full feature-length concert film Stark Raving Black in Detroit which was aired regularly by EpixHD along with the documentary Basic Black. He did a follow up in another full-length concert In God we Trust in 2011. By August 2013, when he recorded Old Yeller in at Borgata Atlanta, the comedian has recorded 9 stand-up specials. Black went on several tours and appears on Unaccompanied Minors as well as the popular political drama Man of the Year in the year 2006. He also played voice-over roles in Happy Elf in 2005 and Farce of the Penguins in 2006. The rant comedian received 5 Grammy nominations for his work. He won 2 out of these nominations namely The Best Comedy Album for The Carnegie Hall Performance in 2007 and 2012 for Stark Raving Black. Lewis Black is involved in more than one profession and he earns from all of them. He is an actor, Stand-up Comedian, and playwright. He is also into movie production as well and a commentator. The experienced comedian is worth about $2 million. Having appeared in over 20 movies and 6 Television shows and he is worth every penny. The Angry Comic is not presently married; he is somewhat a lifelong bachelor. His first marriage at the age of 26 in 1974 did not last up to a year. It ended after 10 months. He was quote saying he went into marriage for the purpose of proving to his mother that he wasn’t a Schmuck. However, there is no record on the identity of his ex-wife. Rumors linked the comedian to the late Caitlin Clarke. He stands at a height of 5 feet 9 inches (1.75m) which is one inch shorter than the average American male which is 5 feet 10 inches (1.77m). Lewis Black was raised in a Jewish family. The comedian is well versed in the Torah (Mosiac Books of Law), in one of his stage rants he criticized the Christian interpretation of the Tanakh (Old Testament) and the introduction of the New Testament. He Was voted in 2004 as one of 100 greatest comedians by Comedy Central and rated 5th Comedy Central Stand up Comedian for the year 2008 as well. On April 2005, Lewis was described on CNN.com as America’s angriest Comedian although he was not always angry in life; when he asked if the guy on stage has anything to do with him, Lewis Black replied “I wouldn’t last 12 months if I was that guy. The raving ranting man on stage is just a comic character. The angry Comedian is not an Angry man. Lewis had a known younger brother named Ronald. However, Ronald died of Cancer at the age of 46 in July 1997.